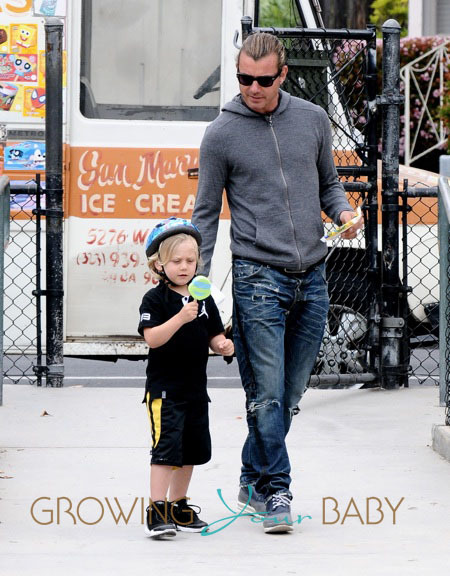 Gwen Stefani and Gavin Rossdale were photographed enjoying the day at the park with their boys Kingston & Zuma. After playing on the playgym, Gavin treated his boys to some ice cream from a truck that was parked on the street. While their boys played Gwen and Gavin sat on the bench giving their Pomeranian puppy some love. Such a great way to spend the Holiday weekend!